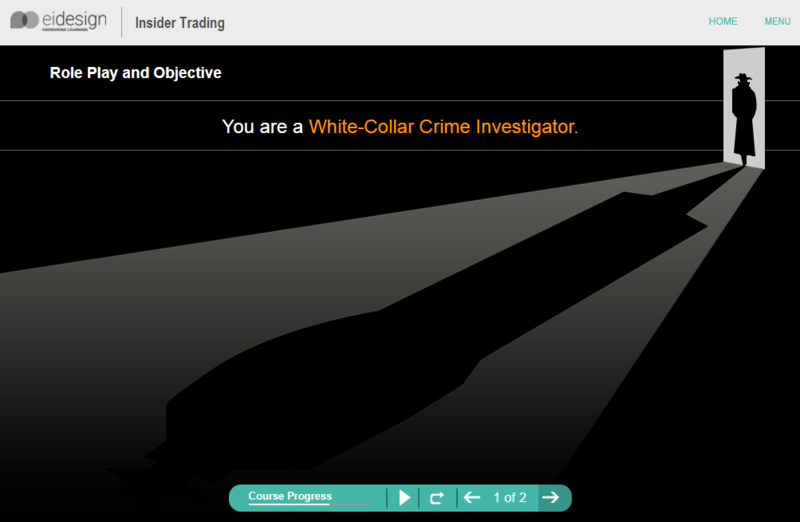 Online compliance training tends to be boring but this need not be the case. 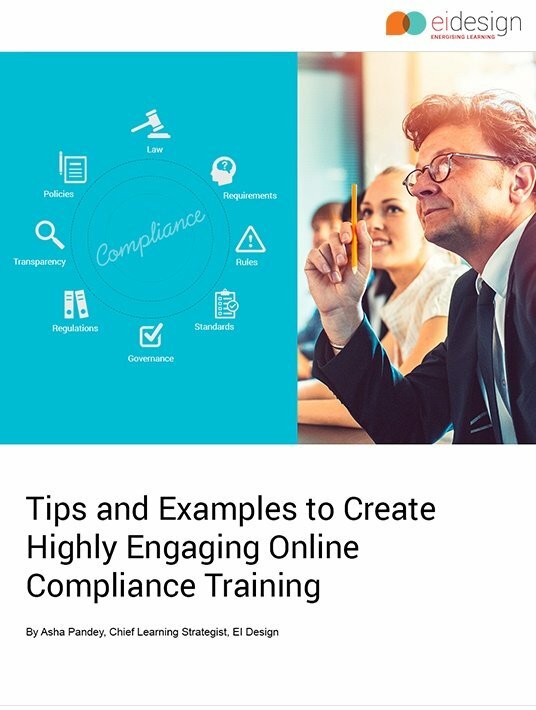 In this article, I share tips and examples on how you can increase the learner engagement quotient of your online compliance training. As we know, compliance training is carried out by organizations to ensure conformance to rules and guidelines enforced by governments and/or regulators. Since the late nineties, these trainings are being offered in the online format. 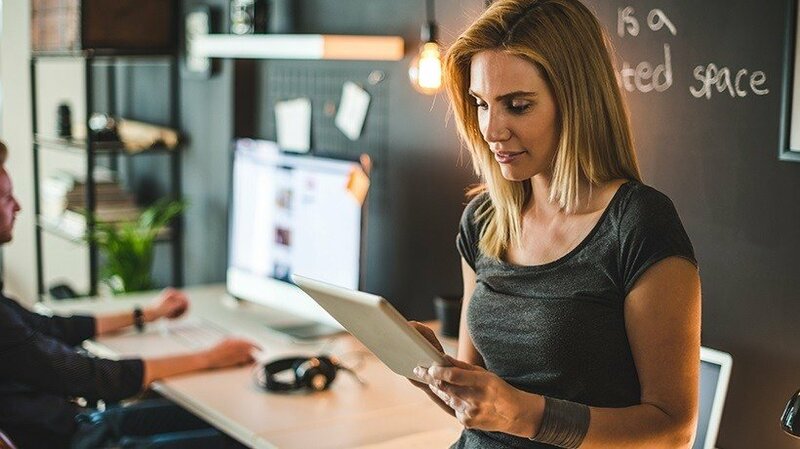 While the eLearning technology and learning strategies have changed significantly over these years to use more engaging and immersive learning approaches, the way online compliance courses continue to be designed leaves much to be desired. Even today, they are often boring. Sure enough, they do get completed and attested by learners; but they do not necessarily meet the corporate mandate of being able to instill the spirit of “why comply” and trigger the required behavioral change. At EI Design, our compliance practice (to offer engaging and high-impact online compliance training) is now 15 years old. In fact, one in every six courses that we create is for a compliance mandate. The key value that our compliance practice offers is a series of measures to step up learner engagement through strategies that would eventually trigger the required behavioral change. In this article, I share tips on how learner engagement for online compliance training can be stepped up. I also share two examples that showcase how you can achieve a high engagement quotient with your learners and achieve your mandate. Despite The Accepted Significance Of Compliance Training, Why Do We See That Employees Are Not Engaged With Them? Compliance courses tend to be boring. The content of most compliance programs is rather dry and has a rich share of dos and don’ts and the consequences of non-compliance to name a few. In other words, they tend to be preachy and prescriptive – couple of things adult learners do not like. Unlike other courses that help learners gain a new skill or reduce a proficiency gap, compliance courses are “mandated” by the organizations, and therefore, learners tend to lack intrinsic motivation to take them. 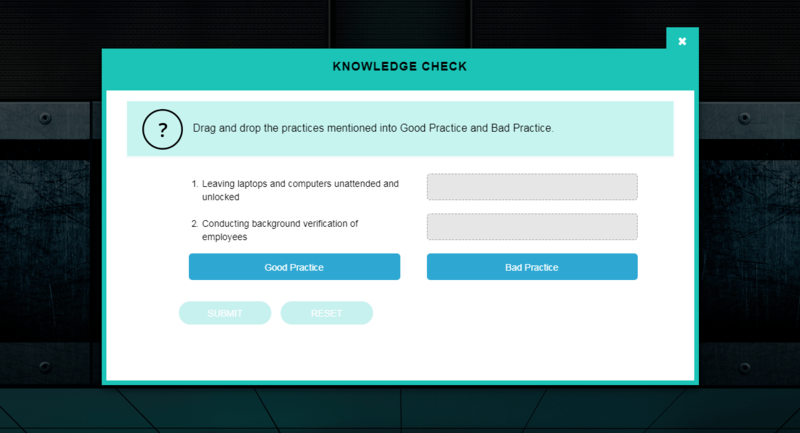 Most online compliance training programs today follow a rather predictive approach of laying down the facts, policies, and impact of non-conformance and wrap up the training with a quiz. Often, the information is not provided in a format that can truly help learners relate to it, internalize it, and push them to do the right thing when faced with situations that need the desired action. What Are Some Ways To Encourage The Employees To Comply? I believe that we need to have a combination of approaches to ensure that we can eventually see the required behavioral change in the employees. Dos and Don’ts: Avoid jargons and keep it simple and relatable. Reinforcement: Put the learners in situations (dilemmas) to assess if they have truly internalized the learning. Assessment: Push the validation of learning through questions that map to both levels of cognition (Understanding and Application). You can also opt for a series of questions that can build from the response of the previous question. This threaded approach of assessments not only keeps the learners engaged but also pushes the cognition levels to the desired level. All adult learners like to be in control. It doesn't hurt to provide the required flexibility to the learners through a combination of approaches, including offering courses on multiple devices (including smartphones and tablets) through mobile learning or mLearning. This enables them to access the training on the device of their choice, when they want to (rather than when they are required to). Today, you have a wide range of learning strategies to pick from. These approaches create a much higher engagement quotient and will help you see better completion rates within the stipulated time. We need to eventually see the learners undergo the desired behavioral change to sustain the required compliance. This can be achieved by adding components of Performance Support Tools (just-in-time learning aids or job aids) to your online compliance training to reinforce the learning. These learning aids support the primary training and can be made available to the learners within their workflow. They work very effectively in reinforcing the message of the primary training. Additionally, they can be used to push the learners to take the required action. What Can Be Done To Make Compliance Training Engaging For The Learners? Avoid making compliance training a bitter pill that everyone must swallow. Avoid preachy and prescriptive content as adult learners don’t like it. Avoid presenting information in a boring or predictable eLearning format. How can you achieve a high engagement quotient with the learners. How can you increase the stickiness of learning through immersive strategies. 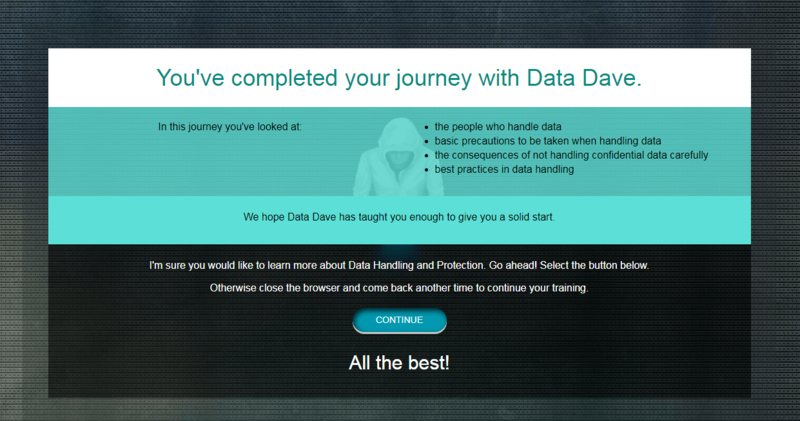 “A Date with Data Dave” is an informal microlearning nugget on the Compliance subject of Data Security. It is part of a larger suite of courses on compliance that we have developed. 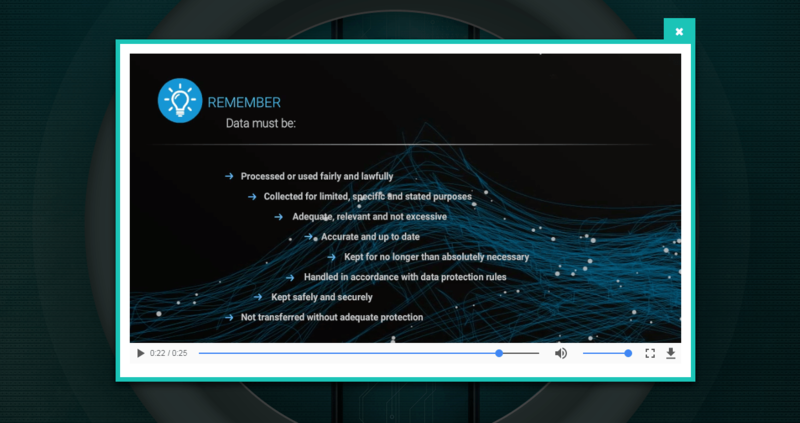 The information provided is a prequel to a comprehensive module on Data Security and provides preliminary information about the subject. 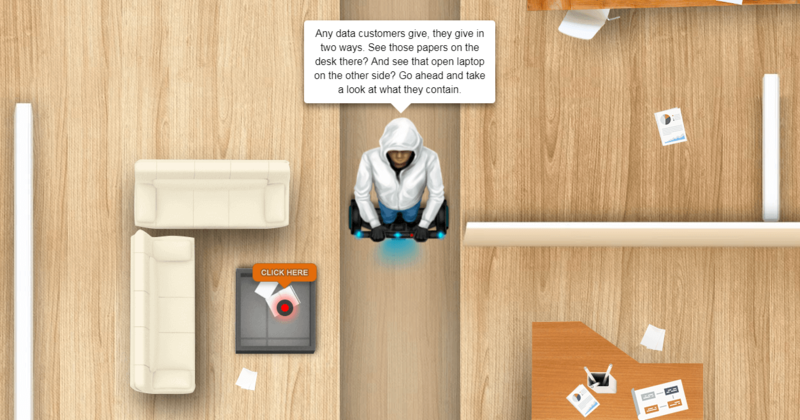 The nugget is in a responsive web-based training format called Interactive parallax based scrolling that is very popular on websites and is now being used as a microlearning technique. This design approach creates a compelling viewing thereby keeping the learners hooked. It also appeals to the millennial workforce. 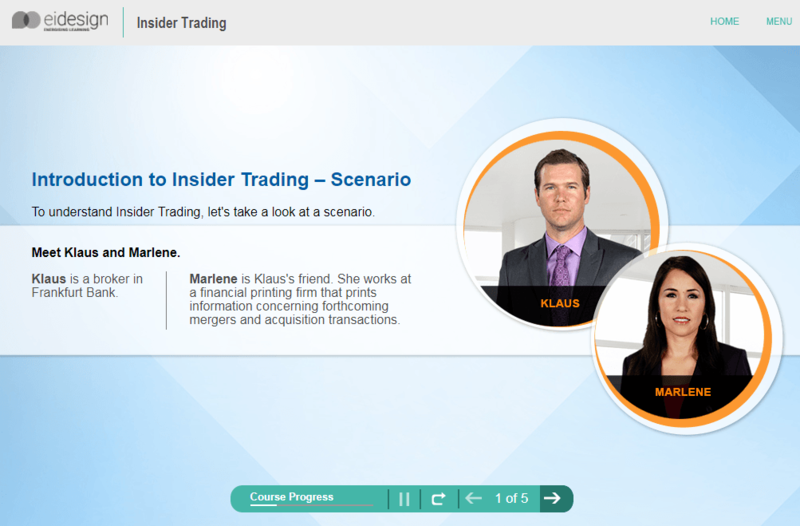 The introduction screen has a small video to set the context of the course. We used an "Ethical Hacker" Dave as the anchor for the course. 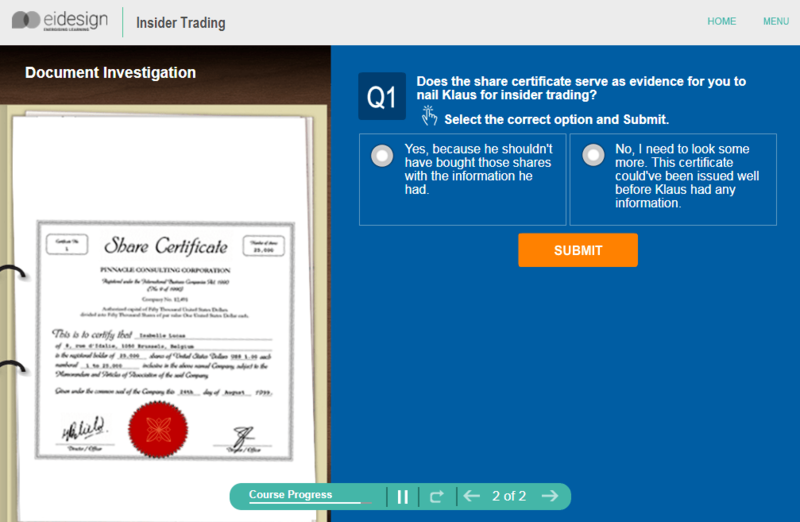 Learning aids (as popups) are provided as the learner scrolls down. Few learning aids are provided in the form of short videos that create sticky learning. Of course, the knowledge wrap up the course. The last scene summarizes the key learning points of the course. It also acts as an information highlight to indicate where the learners need to pay attention. 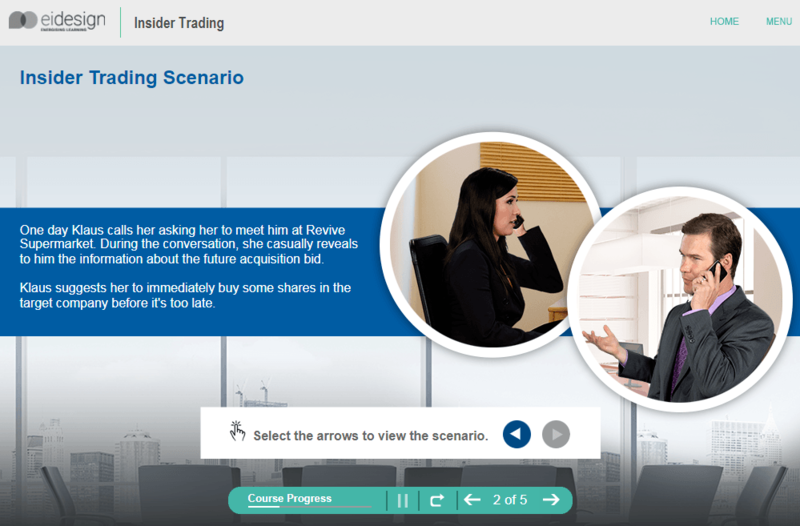 This example highlights the usage of an immersive learning strategy where we put the learner within the learning path. Learning strategy of “Investigation” to explore and learn: Rather than getting an access to what they must learn (as is the case in a traditional eLearning course), the learners must “investigate” the various facets to meet the learning outcomes. This immersive approach forms the core of the enhanced learning experience. To highlight the impact of this approach, I also share a traditional eLearning course so that you can easily compare the learner engagement quotient between the two approaches (traditional vs a highly immersive one). This course uses a standard scenario-based approach with relevant imagery as a backdrop overlaid with text and characters. In addition, it has intuitive layouts to make learning simple, effective, and scalable for rapid development. 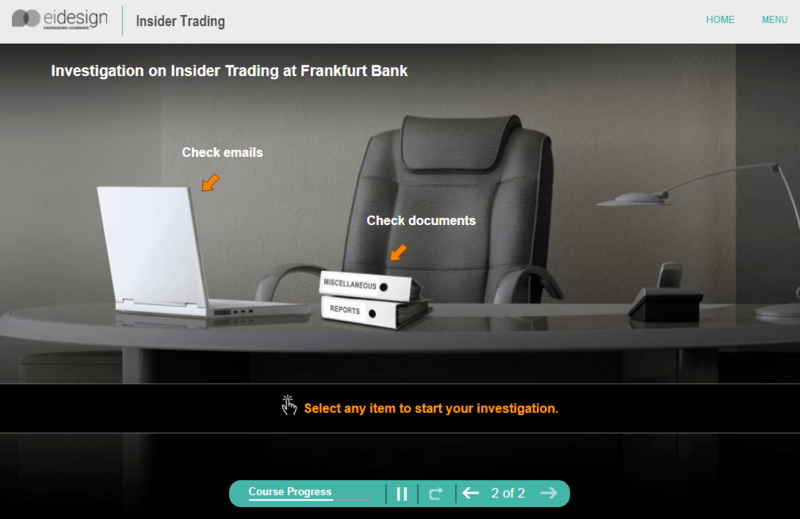 This course uses a crime scene investigation approach where the learner investigates a case related to Insider Trading and needs to identify the perpetrators. 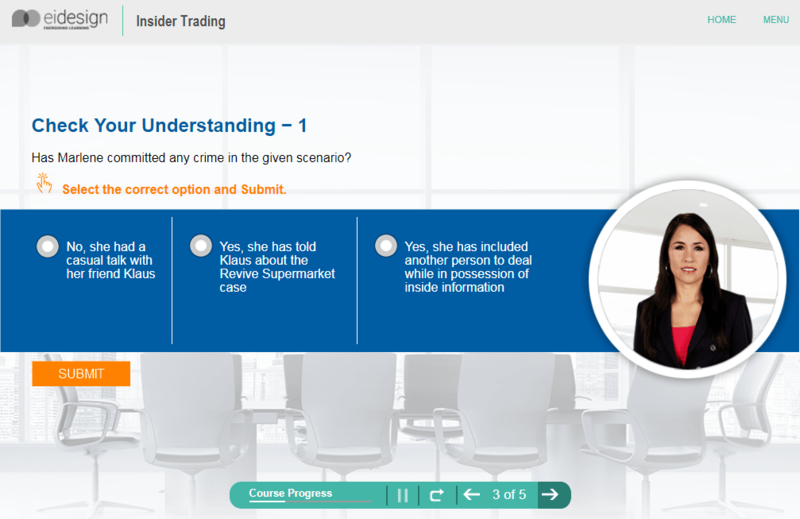 The investigation (or the learning path) features decision-making scenarios that map to real life situations and would drive learners to act appropriately when they face similar dynamics. This approach creates a much higher engagement, is immersive and pushes the cognition level to analysis and application. Eventually, it helps training meet the compliance mandate far more effectively than the previous (more traditional approach). I hope this article provides you with food for thought as you seek to re-evaluate or revisit your online compliance training strategy. 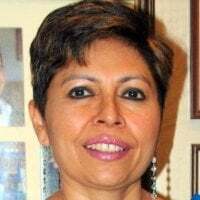 If you have any queries or need support to transform your learning strategy for online compliance training, do contact me at apandey@eidesign.net.